Leading training and testing facilities understand that there are two ways to grow; one is organically; another is to acquire new customers. Pearson VUE can help your training or testing facility do both. 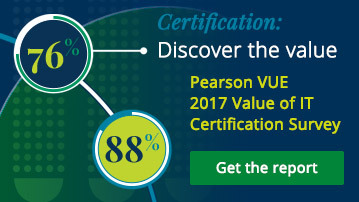 Retain your current training students by providing access to certification exams and gain new ones by joining Pearson VUE — the global leader in computer-based testing. Broadening your certification offering retains current students and attracts new candidates to your facility. Put opportunity to the test: Grow your testing and training facility with Pearson VUE. Find answers to common questions about managing your Pearson VUE® Authorised Test Centre or becoming a new one. Deliver these IT, regulatory and professional exams. Is your test center a good fit?